The veiled chameleon (Chamaeleo calyptratus) is the most commonly bred and available species of its genus in herpetoculture. The popularity of the veiled chameleon is due to a number of factors: veiled chameleons are relatively hardy, large, beautiful, and prolific. It is not uncommon to encounter this species in pet shops, even pet shops that do not specialize in reptiles. Unfortunately, veiled chameleons are all too often purchased from reptile shows or pet shops without the correct information on their proper care and management in captivity. It is the responsibility of the seller to provide information on captive care, as it is also the responsibility of the purchaser to seek it before the animal is brought home. Veiled chameleons are native to Yemen and southern Saudi Arabia, and reside in an amazing variety of different habitats. As such, this species is tolerant of temperature and humidity extremes, which contributes to its hardiness as a captive. Chameleons as a genus are "high maintenance" reptile pets, and although veileds are among the easiest chameleons to care for, they still require careful attention. There are several aspects to veiled chameleon husbandry, the first being the purchase of a healthy animal, and the second, providing the appropriate captive care. First and foremost, purchase only captive born veiled chameleons. Although large numbers of captive born veiled chameleons are produced annually in the United States, veiled chameleons are still imported for the pet trade. Imported chameleons should be avoided at all costs. Imports usually carry a large parasite load, and are dehydrated and stressed from the importation process. The only time imported chameleons should be purchased is to augment and improve the genetic diversity of a large scale breeding program.. Healthy chameleons have straight limbs. If you see a chameleon for sale that looks "bowlegged", has difficulty grasping onto branches or walking, or has a crooked back or jaw, do not purchase it. These symptoms often indicate an animal that has developed metabolic bone disease, a preventable calcium deficiency. Check the eyes closely. Healthy chameleons have their eyes open during the daytime and look around their environment constantly. Chameleons that have their eyes closed for long periods of time during the day are usually sick. Also avoid chameleons with sunken eyes, these animals are generally dehydrated and stressed. The color of a chameleon is generally a good indicator of its overall condition. A chameleon that is very dark and drab is generally stressed by something in its environment, sick, or too cold. Make sure to check inside the animal's mouth for signs of mouth rot. This is rather easily accomplished with veiled chameleons because of their propensity for gaping and hissing when approached or held. To check inside the mouth, let the animal walk onto your hand, and then gently wrap your free hand over the top to the animal and restrain it lightly. The animal should gape and hiss, if it does not, and lies placidly in your hand with it's eyes closed, it is most likely sick. Once the mouth is open, check for any cheesy looking matter or green color, the presence of either of these two signs indicates an infection. The only animals one should consider for purchase should have straight limbs, a strong grip and gait, alert and open eyes, good color, and a healthy looking mouth. There are three common sources for captive born veiled chameleons: pet stores, reptile shows, and mail-order. Many pet stores now carry veiled chameleons, some do it well, some do not. 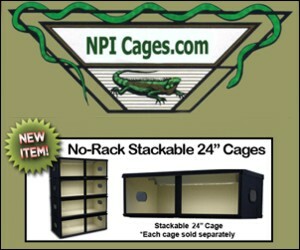 Purchase veiled chameleons only from pet stores that house and feed the animals appropriately. If the animals are not being cared for properly in the store, it is a good indication that the owners and employees cannot help with appropriate captive care advice. Purchasing veiled chameleons from pet stores that have knowledgeable employees can be an asset should problems with the purchase arise in the future. There are many other sources for captive bred veiled chameleons, one of the most common sources is reptile shows. Even small reptile shows generally have someone selling captive born veiled chameleons. There are several advantages and disadvantages of purchasing veiled chameleons at reptile shows. The advantages include much lower pricing: veiled chameleons wholesale at reptile shows anywhere from $30-$100, depending on the age of the animal. 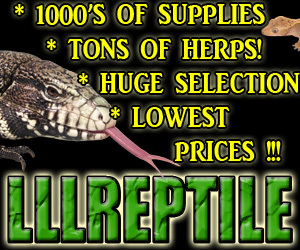 The prices are variable, but there will almost always be a better deal at a reptile show than in a pet store. Reptile shows present an opportunity to talk directly with the breeder about captive care. Although most breeders are very busy at shows, they should take a least a few minutes to discuss any questions you have on care, provide literature on captive care (or tell you where you can get some), and/or provide their phone number or address should you have any more questions. Even if you are very knowledgeable about veiled chameleon captive care and breeding requirements before a purchase, it still pays to purchase animals from a helpful breeder who can provide advice and encouragement. The only real disadvantage to purchasing a veiled chameleon at a reptile show is the fact that some breeders may be less than willing to provide information on captive care, and once the animal is sold, they disappear. If there are problems at a later date with the chameleon, these breeders may be very difficult to contact. This is the one advantage a pet store with knowledgeable employees has over a reptile show; if there is a problem with a pet store purchase, the employees can be easily contacted for help or advice. If there are no good reptile stores or local reptile shows available, captive born veiled chameleons may be mail-ordered. Mail-ordering veiled chameleons has some distinct disadvantages. Mail-ordering entails a purchase without inspection of the animal first, and is a transaction which relies heavily on trust. 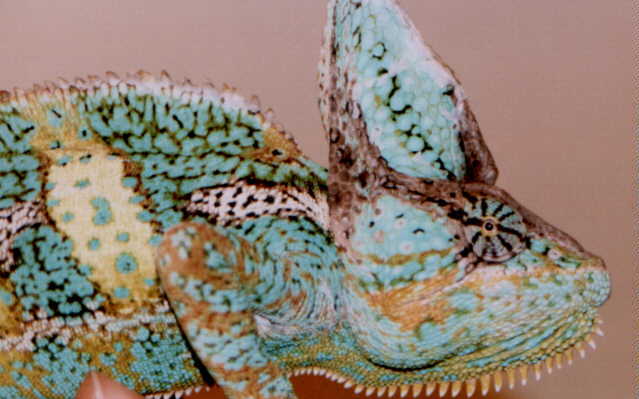 Many companies and individual breeders who mail-order veiled chameleons advertise in the classified section of herpetological magazines and journals. Also, if one has access to the Internet, there are many breeders and companies that maintain web pages with price lists. It is best to do business with an established and reputable company or individual. Ask other herpers or knowledgeable pet store employees for some references. It is defiantly possible to obtain quality, captive born veiled chameleons through mail-order, but one should follow several steps to ensure the quality of the animal before the order is made. Contact the potential source before the order and ask some questions about captive care, this is a good way to determine how conscientious the breeder or company is in business dealings. Mail-order also has the disadvantageous necessity of shipping, which can be stressful on the animal. Veiled chameleons are very hardy however, and if packaged properly and shipped at the appropriate time of the year, should ship with no problems. Veiled chameleons are not "pets" in the traditional sense. They do not like being handled or played with, and in fact these activities, if taken to extremes, can stress the animal severely. If however, you do desire an animal that is beautiful, interesting, and a challenge to care for, a veiled chameleon is a good choice. The captive care of veiled chameleons includes several different facets such as, housing, heating and lighting, and diet.